Oyster pan roast. Is it a soup? A stew? A chowder? Technically a soup, an oyster pan roast stands out enough to warrant its own category. 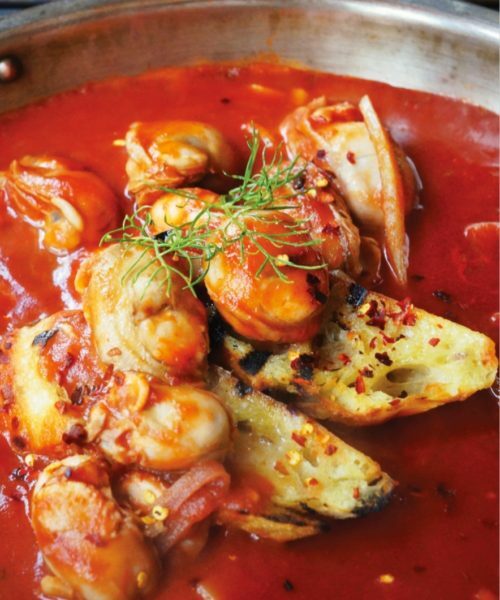 Rich, seafood pan roasts are closely related to bouillabaisse or cioppino. All three start with a seafood broth. The word, “rich,” almost always accompanies pan roast descriptions. 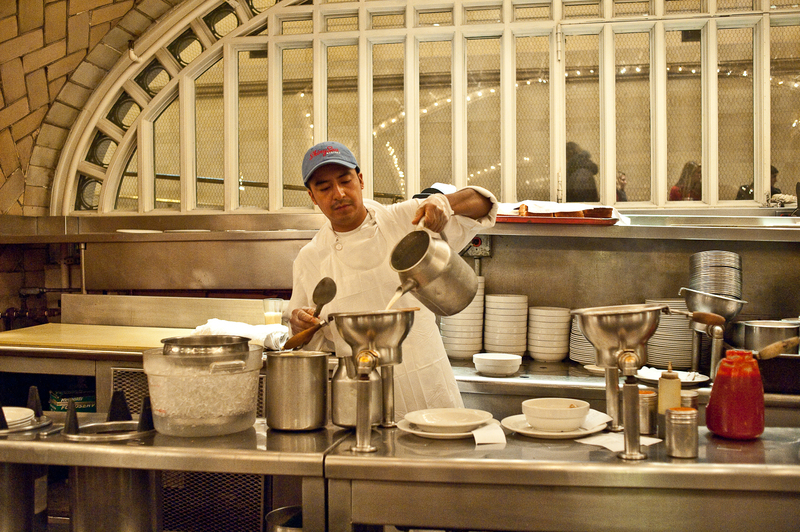 That richness comes from the combination of briny broth, butter and heavy cream. Pan roasts may also include herbs, hot sauces, bacon, or seasonal vegetables. Last, but not least, every oyster pan roast requires bread, rice, or something else to sop up every drop of rich, creamy goodness. We rounded up the best oyster pan roast recipes from your favorite magazines, cookbooks, food blogs and chefs (Andrew Zimmern, Ashley Christensen, Bryant Ng, John Currence, Kristen Essig and more). 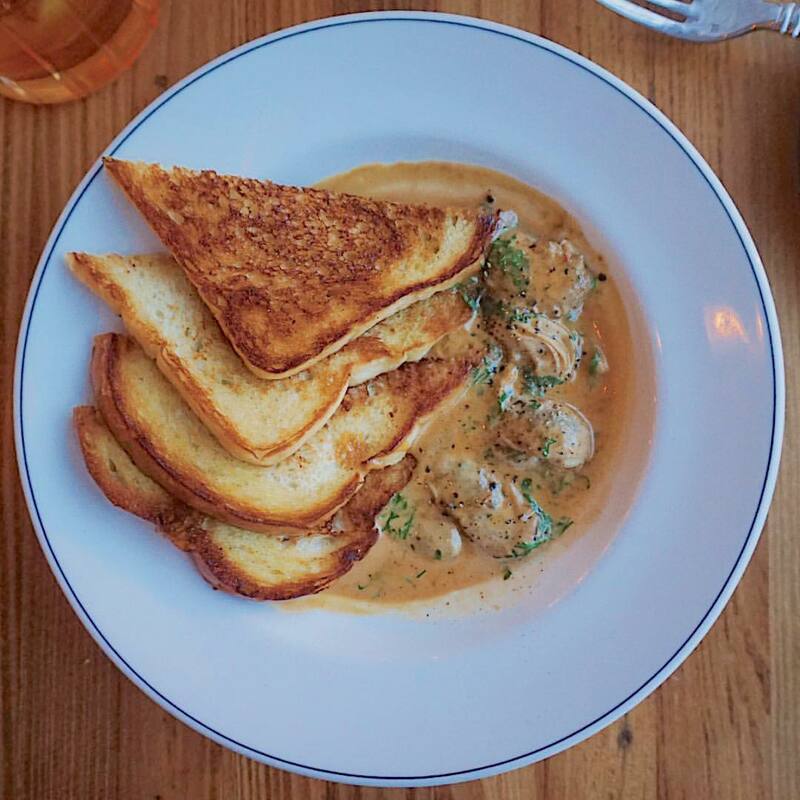 Thank you, foodnomad for the mouthwatering photo taken at Dylan’s Oyster Cellar, Baltimore. Follow @foodnomad on Instagram.